I first heard about Mr Robin Sommers from my rock poster artist friend Big Rich Dorris. 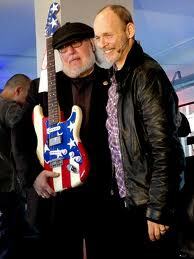 Rich told me how Robin had painted the American flag on Wayne Kramer's signature Fender Stratocaster. 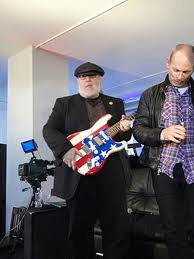 One of the most fantastic stories from back in the MC5 days was that Artist Robin Sommers and Wayne together got the idea of painting the American Flag on Wayne's guitar after seeing Pete Townshend's Union Jack guitar. So together they painted this custom American Flag Fender Stratocaster. Was looking for a picture of the guitar to show a co-worker. 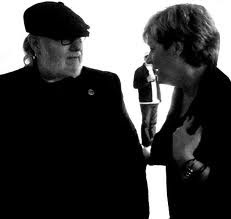 Robin was my uncle and I missed dearly by our family. Im glad I found this page as his family will love these pictures.